The UC Natural Reserve System has joined a newly created partnership that seeks to improve the health of the forest ecosystems surrounding Lake Tahoe. 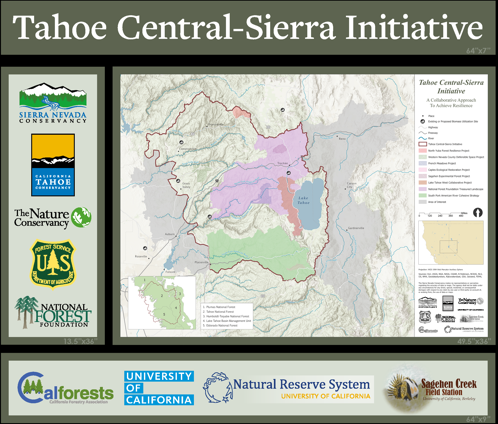 The Tahoe-Central Sierra Initiative (TCSI) will apply science-based forest and watershed management to reduce wildfire risks, arrest tree die-offs, and bolster forest resilience to threats such as climate change. The partnership was announced at the 21st annual Lake Tahoe Summit held August 22 in South Lake Tahoe. “Here at Lake Tahoe, we are reminded once again of the effects of climate change on our landscape. Restoring the health and resilience of our forests is critical, and efforts such as the Tahoe-Central Sierra Initiative are essential in reducing the greenhouse gas emissions associated with wildfire and tree mortality," said California Natural Resources Agency Secretary John Laird. The new partnership is a coalition of government, environment, research, and industry entities with interests in the central Sierra Nevada. The NRS’s Sagehen Creek Field Station, near Truckee, is also among the signatories. 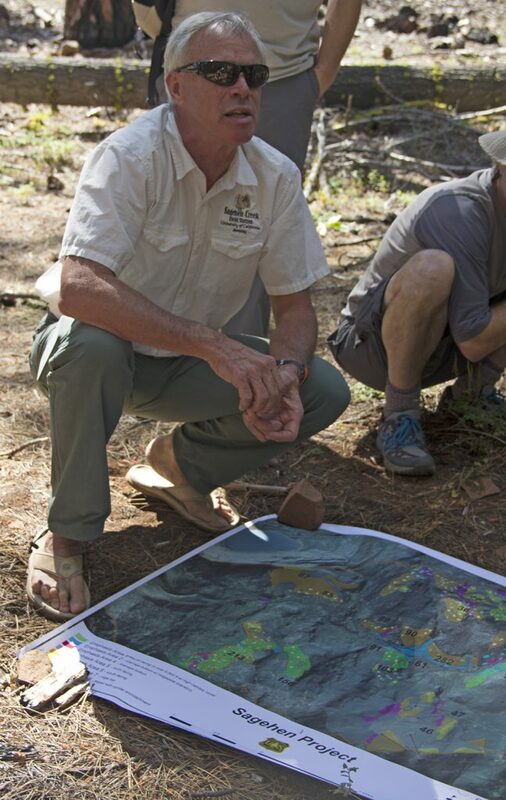 Sagehen has long served as a research and demonstration site for forest management methods, and educates community members and groups such as the insurance industry about the value of forest restoration. “The NRS is very pleased that Sagehen Creek Field Station can continue its pivotal role in ensuring the ecological health of the Tahoe Basin and its forests,” says Peggy Fiedler, executive director of the UC Natural Reserve System. Other TCSI participants include the Sierra Nevada Conservancy, the California Tahoe Conservancy, regional U.S. Forest Service units, The Nature Conservancy, National Forest Foundation, and the California Forestry Association. By working together, participants hope to improve the coordination and prioritization of restoration projects, and be more successful at securing project funding. Contrary to what many visitors believe, Sierra Nevada forests are in dire need of management intervention. Native Americans once burned California landscapes regularly to reduce underbrush and encourage the growth of certain plants. A century of fire suppression has left state forests overcrowded and vulnerable to catastrophic wildfires and the rapid spread of pathogens. Across the state, more than 102 million trees have died from drought, insects, and disease since 2010. The number of dead trees in the Lake Tahoe Basin alone has more than doubled from 35,000 to 72,000 over the past year, according to the most recent State of the Lake Report. Yet the central Sierra is in better shape than other portions of the Range of Light. 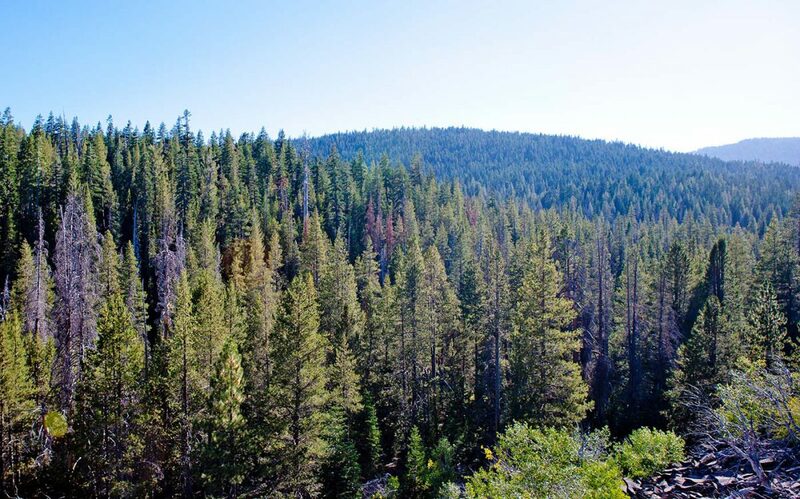 The Tahoe Basin and its surrounding landscapes have largely escaped insect and disease epidemics that have ravaged forests to the north and south. The relative health of the central Sierra makes the region a prime place to develop solutions for other western forests. By this standard, the TCSI partnership has already borne fruit: earlier this month, CalFire awarded the group a $5 million grant to fund forest restoration activities across 1.1 million acres of Tahoe Sierra lands. Sagehen director Jeff Brown explains the Sagehen Forest Project to reserve visitors. Among the partnership’s most innovative efforts will be to develop a market for the byproducts of forest thinning. These include wood, branches and foliage from trees cut to thin forests, plus cleared underbrush. Sagehen’s Brown has firsthand experience wrestling with this conundrum. The Sagehen Forest Project thinned tree stands across the reserve as an example of how other western forests could be treated. Left behind are piles of wood and drying vegetation that will be burned this coming fall and winter. One option is to chip the wood for ground cover. However, no market exists to accommodate the volume of chips generated from forest restoration projects, even those as manageable in size as the 2,500 acres treated at Sagehen. “We need to completely rethink wood product. Instead of releasing all that carbon into the atmosphere by burning, why not do something else with that?” Brown says. Current possible options include manufacturing fuel pellets for central heating systems, developing new forms of siding for buildings, or burning in biomass plants to generate electricity. The other half of the economic equation is creating a market for such products. The size and influence of the TCSI could be instrumental in creating such incentives. Since Sagehen’s lands have largely been treated, Brown is using the reserve to educate others about the value of forest management. Days before this year’s Tahoe Summit, two dozen representatives from the insurance industry and the state Department of Insurance toured Sagehen to learn about the threats posed by unmanaged forests and demonstrate what managed versus unmanaged forest looks like. “That’s the power of these places we’ve got. Because we can tell the story of what we’re doing and people can make up their own minds,” Brown says.